Wonder Villains magically subdue with infectious earworm pop. Their tunes are potentially passive aggressive keyboard, drums, and Fountains of Wayne style guitar licks (Marshall), or the jive stepping dream like The Go! Team meets CSS (Blonde). With the throbbing musicianship and cheery, sometimes breathy vocals, the listener is left with a fun experience. 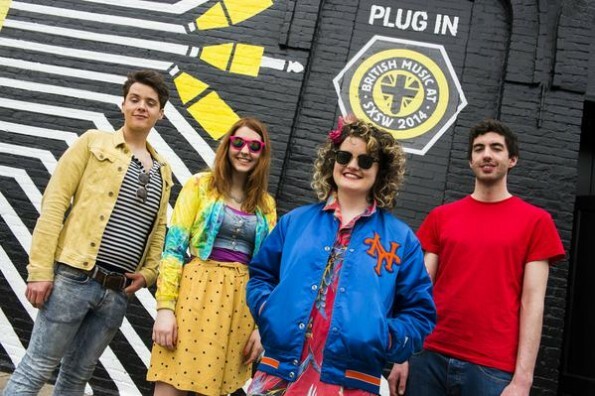 The Northern Ireland group is continuing to expand upon their discography, releasing various (style included) singles in bursts. Despite a varied range, a pervasive theme of youthful exploration underscores each track. “We know we’re young/and we don’t know/we’ll still have fun and we’ll make our show” the band sings on the shouting anthem “Ferrari”, giving listeners the words to describe just what makes this band sound more than special. The individual tracks are tales of perseverance atop pop music that grows intensely and gives payoff every time.